The European Data Forum (EDF) is a key European event for industry professionals, business developers, researchers, and policy makers to discuss the challenges and opportunities of the European data economy and data-driven innovation in Europe. The Big Data Value Association (BDVA) is the private counterpart to the EU Commission to implement the BDV PPP programme (Big Data Value PPP). The objectives of the Association) are to boost European Big Data Value research, development and innovation and to foster a positive perception of Big Data Value. 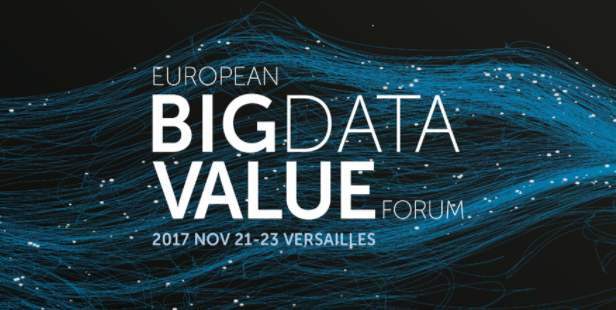 This year EDF and BDVA joined forces to bring you the European Big Data Value Forum (EBDVF) 2017. The event was designed as a platform and a business and technology oriented showcase and exhibition space. As well presentations focused industrial applications of Big Data technologies and innovative business cases of the data economy. WITDOM will be represented in this event with Atos, owning a booth at the event for showcasing demos and disseminating projects’ promotional material. WITDOM will present an overall presentation on the project use cases for both scenarios (eHealth and Financial Services), the generic architecture and main elements of the framework (core and protection components).